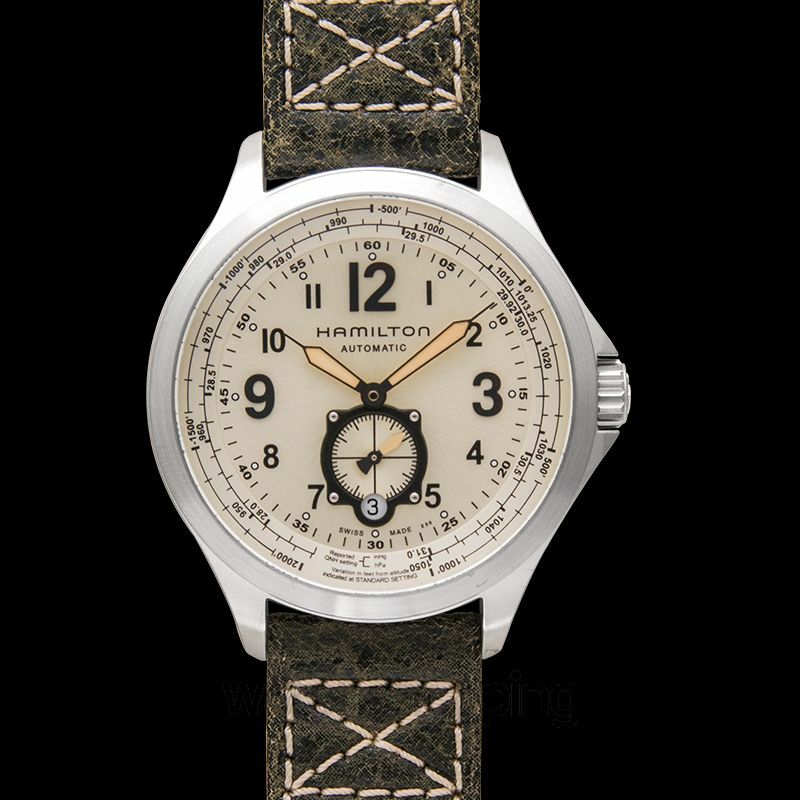 Hamilton Khaki QNE is a collection of watches specially made for pilots. 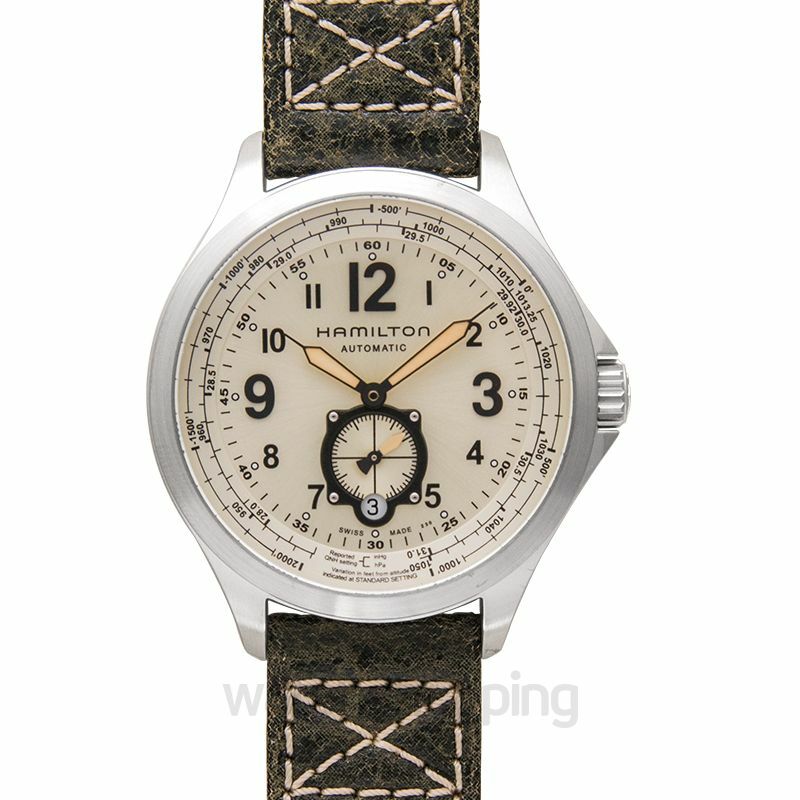 The model H76655723 is one of the most iconic timepieces by Hamilton. Its design and features make it appealing to more than just pilots. 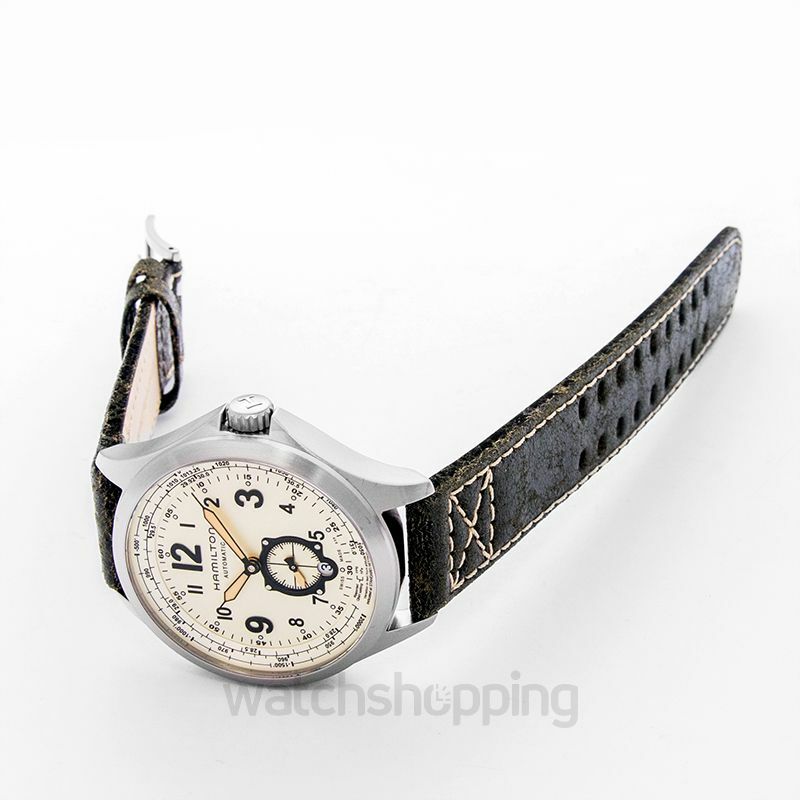 It comes with a 42 mm stainless steel case that holds the automatic ETA Calibre 2895-2 movement. 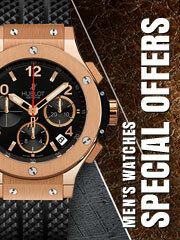 The watch features a distinctive ivory colored dial with easily visible black Arabic numbers and losange hands. 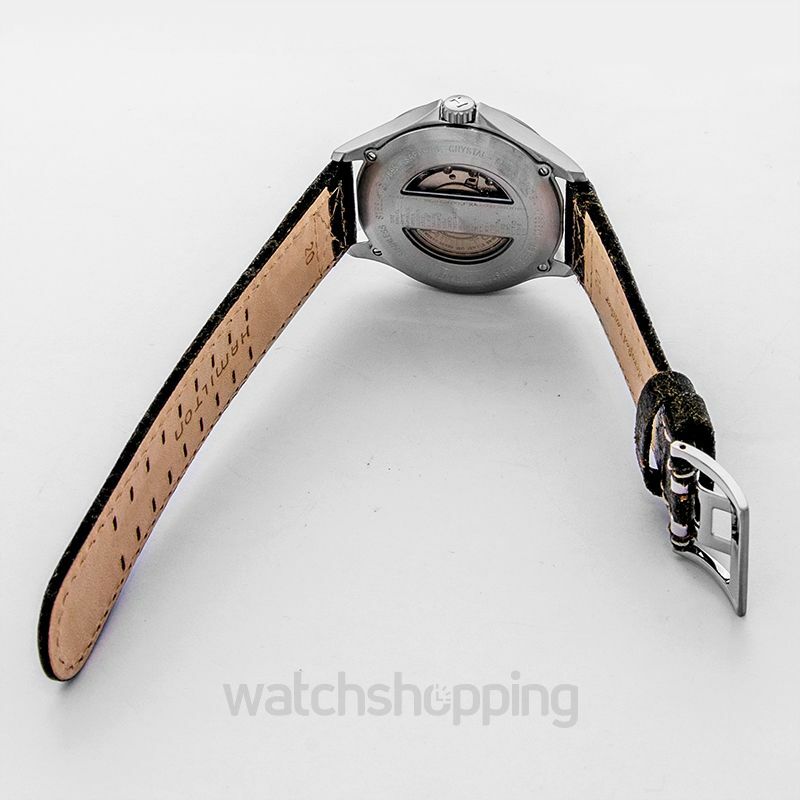 The brown leather strap of the watch is its most prominent and noteworthy feature. 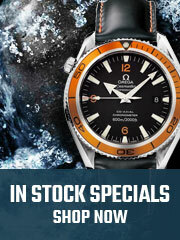 It’s a comfortable, diverse and stylish timepiece that will meet all your needs as a pilot.